The Rivershore on the River Front is 100 FEET FROM THE RIVER! The Rivershore is BRAND NEWLY RENOVATED THROUGH OUT and is located on the scenic Shenandoah riverfront minutes from Luray, Virginia. 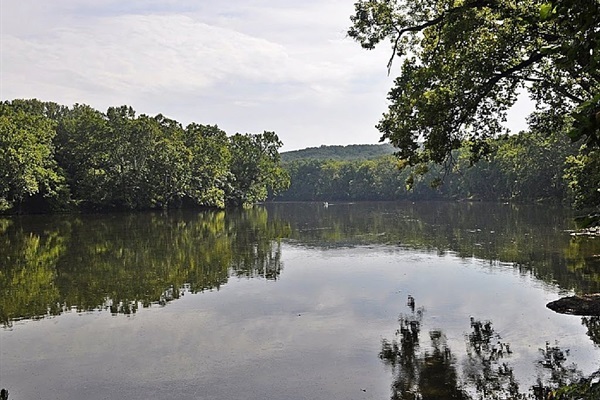 You can relax on the screened in porch, enjoy fishing, canoeing or tube down the river, BBQ and picnic along the riverside, or walk directly across the street to hike in the George Washington National Forest. Truly a great place for a memorable vacation. Completely renovated on the inside. New flooring and paint throughout. New furniture throughout. We have adorned the living room with a 50 inch flat screen TV. Come to rest, relax, have fun and take pleasure in nature's finest wonders. Our river house is the perfect choice to experience an unforgettable vacation or romantic escape.